Speaking of Spring, Hunni’s boutique has no shortage of amazing, easy-to-wear pieces to get you ready for the season. 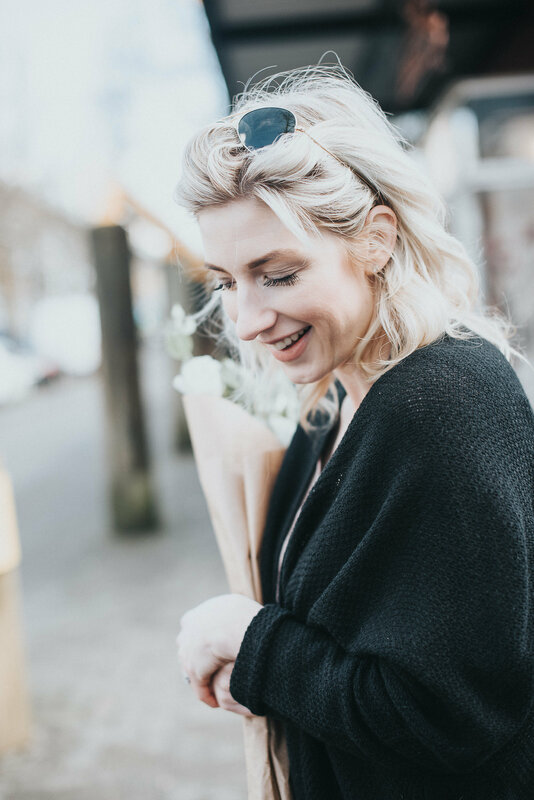 As mentioned time and time again, I am a creature of habit when it comes to styles (as I think many of us are), so during a recent shop to their Langley location, I gravitated towards the basics that will encourage me to get creative through accessorizing. 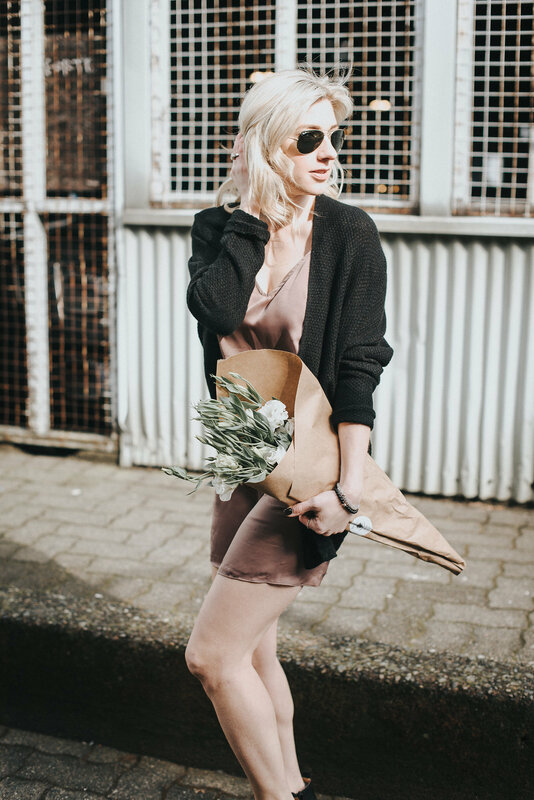 I kept this look simple, as I think a cute cami slip dress does not necessarily need much to go along with it. This particular one from Gentle Fawn is the perfect shade of rose blush and can be taken from day to night! I loved seeing so much of this colour in store. It works well for some many people! 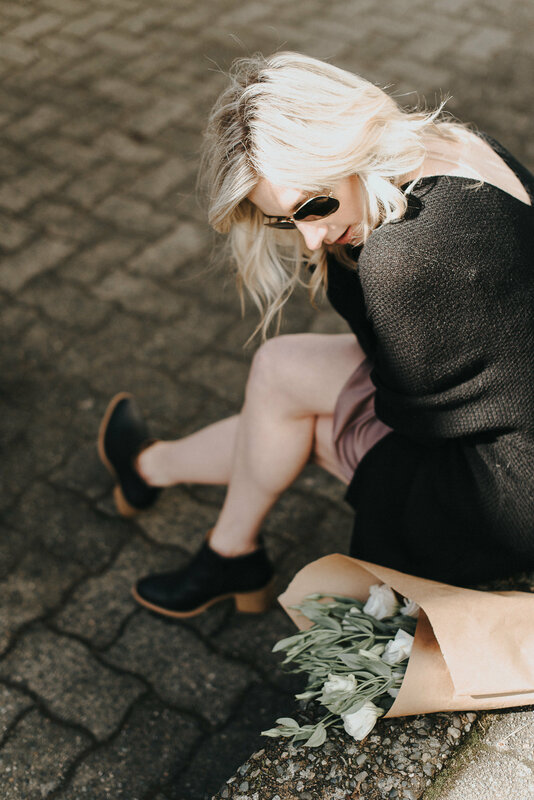 Paired with a cozy thin knit black cardi (that I may just wear to death this season) and a classic pair of black booties, these pieces not only work together, but the look can be taken apart and all three items can be used in various ways. Versatility: that’s what it’s all about. Thank you to Hunni’s for teaming up with me on this post! 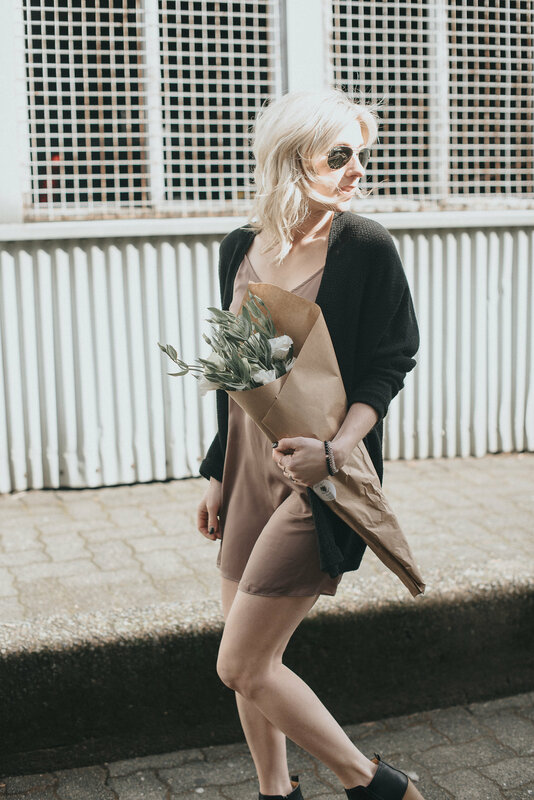 If you are looking for cute Spring essentials at afforable prices, I suggest you pay them a visit, or shop online here. Oh and make sure to follow them on Instagram @shophunnis! WARNING: You will want everything they post! 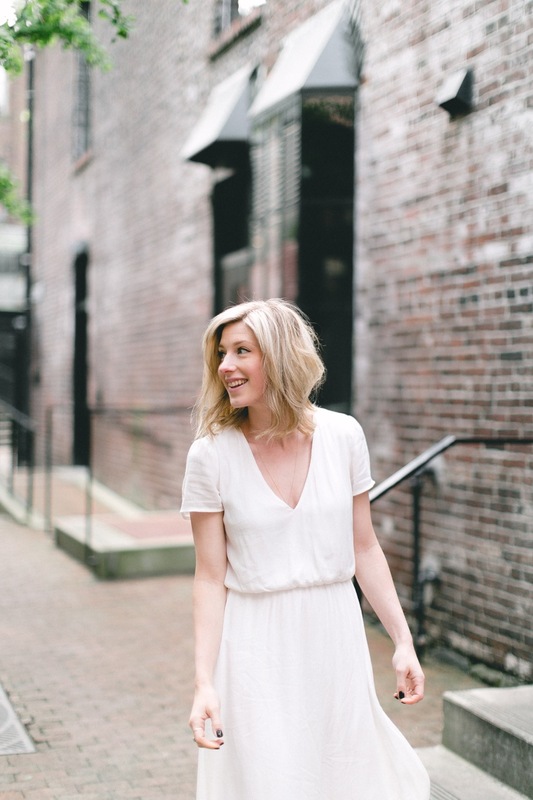 Thank you to Erin Ashleigh Photography for capturing this look at one of my favourite spots in the city, Granville Island!